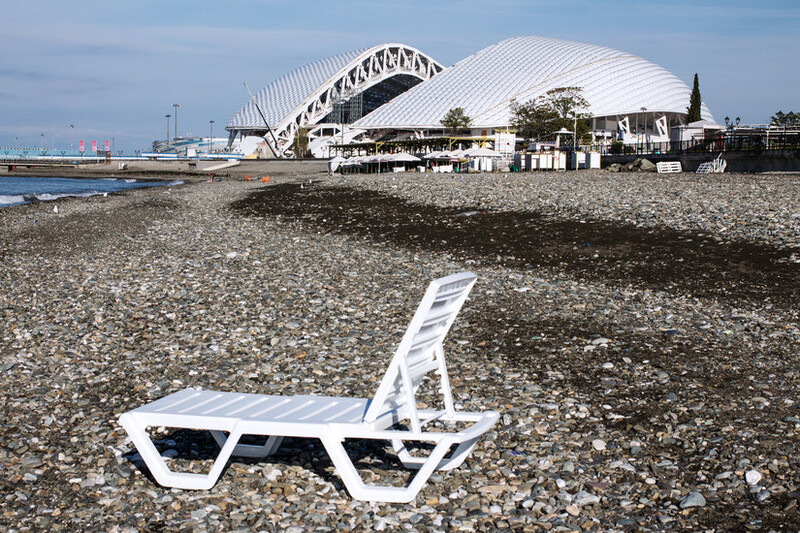 Located in the Olympic Park in Imeretin Valley in Sochi, Fisht Stadium was built for the Winter Olympics in February 2014, and hosted the opening and closing ceremonies. 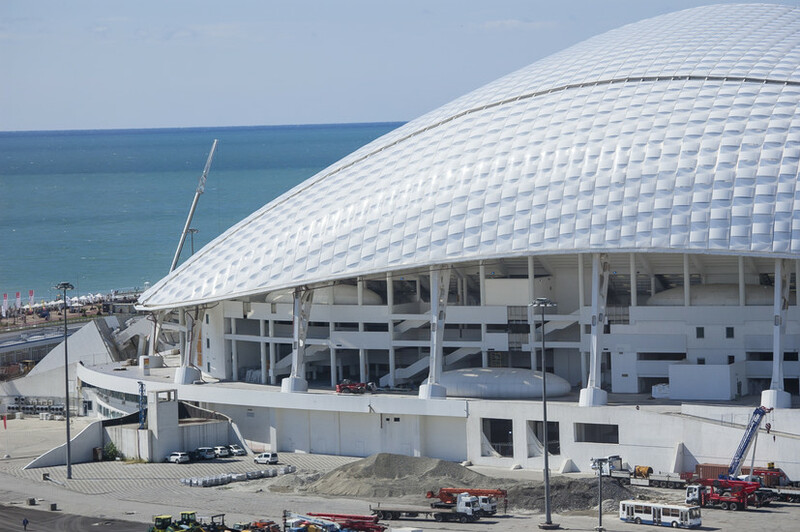 The stadium has been reconstructed for the 2018 FIFA World Cup and was re-opened in 2017, where the venue hosted several FIFA Confederations Cup matches. 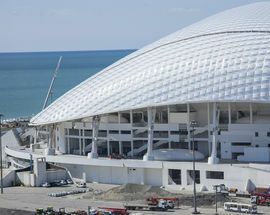 Fisht Stadium was originally named after Mount Fisht, a peak in the Caucasus range of mountains. 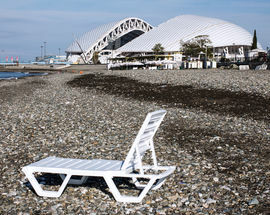 In the local language, Adygeyan, "fisht" means "white head". 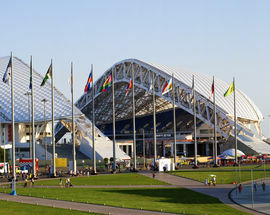 The silhouette of the arena, which was designed by British architects, resembles a snow-capped mountain peak. Getting there: The stadium is actually located in the district of Adler, along with the airport. 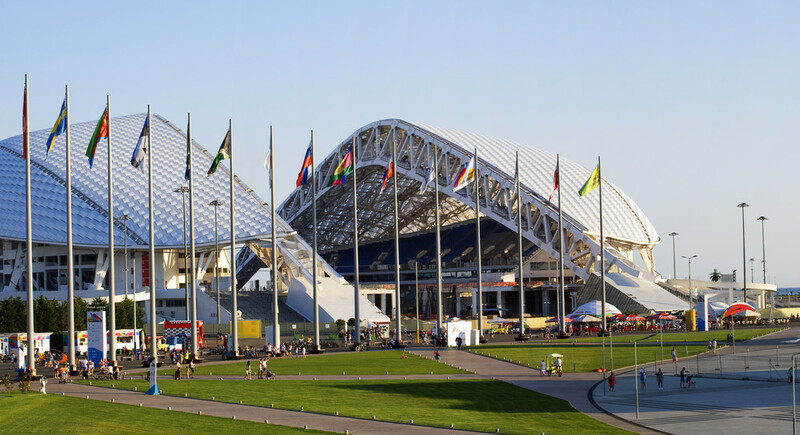 The stadium is 12 kilometres from the airport and Adler train station, so walking is likely out of the question. 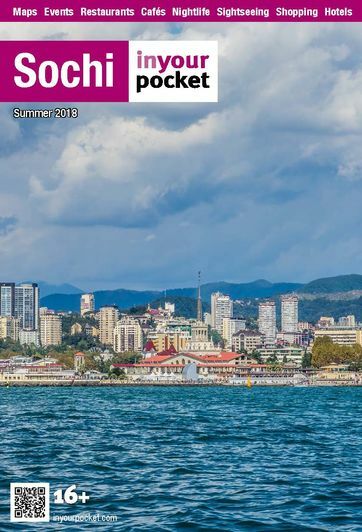 Luckily for all involved, the station Imeretinsky Kurort (Olympic Park) is within walking distance of the Fisht, and can be accessed via the trains that connect Sochi with the rest of the country.